Stylish. Striking. Vibrant. Corners just waiting to be folded over. There’s something special about flipping through a catalogue. From circling products you like, to folding over pages for friends and family, it feels a little more personal than the endless tapping, swiping, and scrolling associated with online shopping. 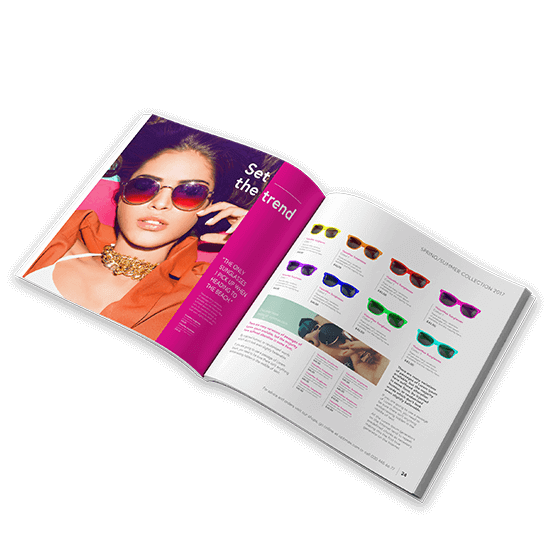 Give your customer a catalogue worth browsing by choosing from our wide range of cover styles and finishes, paper types and weights, trim sizes, and binding options. We ask for a 3mm bleed on all catalogues. Please do not include any important content within this area. The binding options available for catalogues are: saddle stitched or stapled, perfect bound, loop bound, or wiro bound.